Book Review: MOUNTHAVEN By B.P. Chamberlain, Jr.
“Mounthaven” is the story of a man on a journey of self-discovery stymied by his own personal set of blinders. Those blinders prove to be a costly problem for him. He seems to be aware of them. He wants them off. He is certain he can see the blinders others wear. That alone is the stuff of novels. This is also the stuff of life which makes this biography, thinly veiled as fiction, all the more remarkable. Throughout the book, there is a narrator leading you through a family history intertwined with the family estate, Mounthaven. By the last third of the novel, it is revealed that the narrator is the main character. And the main character happens to be my father. If that’s not remarkable, at least in my world of reading, I don’t know what is. In fact, out in the world at large, this book should find many interested readers. You could hook into this book for various reasons. One connection might be the TV show, “Downton Abbey.” It seems to me an easy enough comparison given that each has a cast of characters from different stations in life and each includes a manor as a character in its own right. Now, Mounthaven is no Downton Abbey however it is a nice grand home suitable for big parties and that is essentially what Mounthaven is, or was. My father makes the case against maintaining such a place, and all its trappings. It simply comes at too high a price. To make the case against attempting to live well beyond your means, or even coveting such a lifestyle, requires many bricks to lay down the foundation. And so he proceeds to do that. But to point your finger at one man’s aspirations and accuse him of a shallow life is not so easy to follow through on and leads you in many other directions, especially when it involves you personally. My father takes on something of the Nick Carraway character in “The Great Gatsby,” the one person attempting to keep an objective view amid all the glitz and glamour surrounding the toast of the town, Gatsby. And my grandfather is sort of set up to be a Gatsby of Charlottesville. Not an exact match but the idea that my father can get to the truth of the matter is what’s important. My father may not realize it but he sets himself up for a fall when he thinks he knows best. My father certainly enjoyed summer vacations at the resort village of Fishers Island and he totally acknowledges that so he is open to contradicting himself. This is to be taken as a work of fiction. So, instead of this dealing with the Chamberlain family, we have in its place, the Stokes family. My father is open about the fact that his novel is based on actual events. 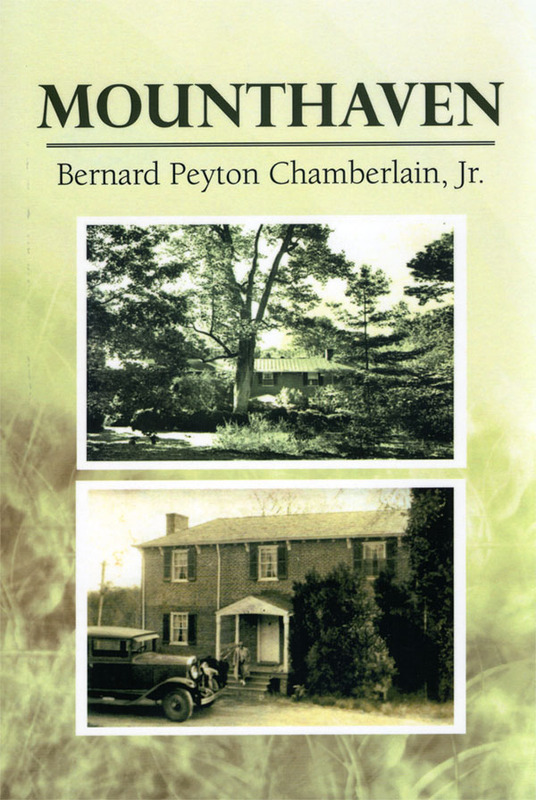 He can’t help but use as a key reference source my grandfather’s memoir, a good old-fashioned recounting of his life and times as a country lawyer and local historian of Albemarle County. I think having the names changed and working under the cover of fiction proves to be a helpful vehicle for my father to tell his story. This is the story of the Stokes family of Charlottesville, Virginia. But it is also most certainly my father’s story. It is circa 1903, over a generation after the American Civil War. We meet Edmund Stokes, a Yankee in love with Mary, a Southern belle. This is supposed to be my great-grandfather. Edmund is set on getting himself established and winning over Mary, which he does. He even wins over her father, a major in the Army of Northern Virginia. And this sets in motion exactly what my father is so dead set against. It is Edmund who establishes a life at Mounthaven with his new bride. He has just enough capital to pull this off and start a business. All too soon, the honeymoon is over. The estate is a fixer upper in the extreme. And Edmund’s investment in herding sheep turns out to be a bust. No one needs wool. My father seems to take such pleasure in describing this business failure that it makes me want to sympathize with Edmund. Things continue to move. Mary, for her part, always envisioned herself a great matriarch maintaining the values of Southern aristocracy. If there’s a chance to hold on to some of that glory, she will try. She has two sons, Gil and Edmund. And it is in Edmund that she pins all her hope for greatness. This is my grandfather. So, no wonder the poor guy feels compelled to seek out the rich life. That, in a nutshell, is the problem. The younger Edmund grows up to become a very capable and promising man with a career in law. When it comes time to marry, he sets his sights on Edith, a wealthy New York socialite. They marry. That cinches it. Everything is in place to potentially start a dynasty. At least, the goal for Edmund is to make the most of the manor, turn it into something really special. That family history covers about a third of the book. At this point, we are introduced to the last Edmund in the story, my father, who prefers to go by his middle name, Carter. And this is some of the most magical stuff in a book full of beautiful passages. Here we get a moving tribute to childhood and the painful transition into adulthood. We enter into the inner world of a boy in 1942, at age twelve. The only thing he wishes to do is play with his lead soldiers. He sometimes has a pal over to play with. And, sometimes, Edith, his younger sister, forces her way into the game. She is Lucy to Carter’s Charlie Brown. Try as he might, she will always get the better of him. If she gets the boys to use up all the household bandages for the sake of the soldiers wounded in battle, she has no qualms in reporting them to her ill-tempered mother once she’s bored with them. There are a number of insightful moments in this book and one that stands out for me from this period of fading childhood involves how the two Stokes children faced issues of race at a time when African-Americans were struggling with the most basic of rights. Black servants, only paid room and board, were still common and the Stokes household had theirs. 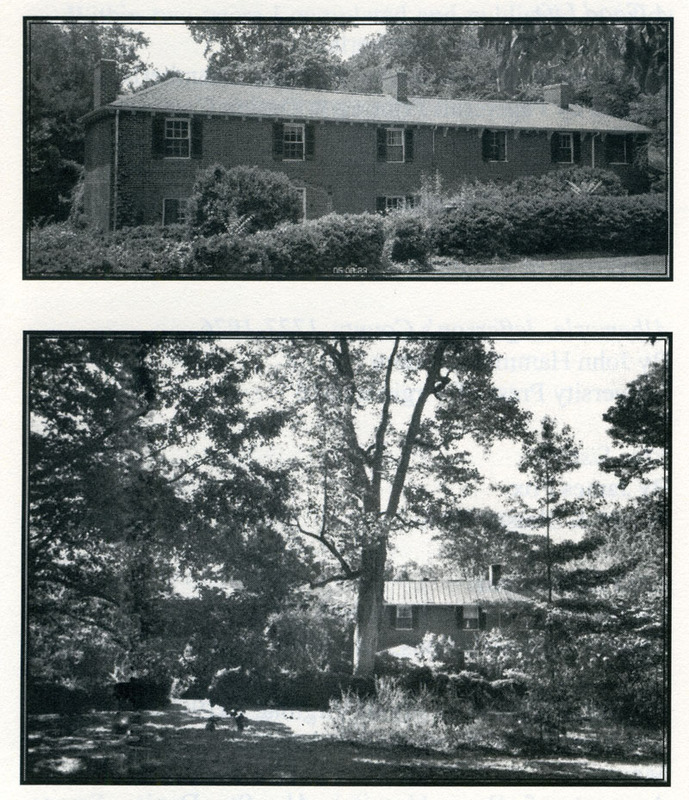 A family lived in a modest house on the family grounds. Their one prized possession was a new black sedan. One day, one of the servants was driving around town and she had Edith and Carter in the backseat with her kids. She’d stop by when she’d find a familiar face on the street and start up a conversation. And she’d say, with pride, that she had “the judge’s” children with her. The senior Edmund was a lawyer, not a judge, but the nickname stuck. It was the first time that Carter had felt such a distinction being made about him and his sister. But he could feel the gulf between his family and the servants that had not existed in his mind before that. They had no indoor plumbing up there, remember. Their source of water was a hydrant about twenty yards from the gate in the fence separating what was unquestionably Mounthaven from the rest of the world. Jeanie would frequently lie on the little porch that stood outside the kitchen door below, from which she could see not only this gate but the hydrant as well. She seemed to understand what the fence and the gate signified but she also seemed to understand they must have water if they were to survive up there, man and beast alike. Tense and ready to spring, therefore, she’d watch that dog guardedly through the gate, watch it stealthily approach the hydrant. It must be thirsty. Which she seemed to appreciate as well, for she’d allow the dog to come as far as the hydrant but not a step further. If it so much as thought of venturing deeper into the domain, she was on her feet and up that hill three times faster than you would have ever thought such a stout dog could move. And the dog, of course, could see her coming. And he’d turn and run for the gate, beyond which, in the democratic way she’d worked things out, she wouldn’t pursue him. It never failed and Carter lost count of the times he saw this ritual repeat itself. And never once was there an actual encounter between the two of them. Not the case with the Twilling’s Doberman, however. One day Carter was out walking with the dogs: Topsy, Jeanie, Suzy and Uso. They loved going for walks with him. And on this occasion they were still on the western edge of his grandfather’s orchard, within a stone’s throw of what remained of his grandfather’s old pigpens, when Jeanie got wind of that Doberman. It was on her property! She wasted not a microsecond in thinking about it, she charged straight for the dog which, by this time, she’d spotted. It was sniffing around the pigpens. And she hit that Doberman, twice her size at least, with such force as to bowl it over, after which her remaining momentum carried it up against a wall of the pigpen. The Doberman could not get up. She was all over it. And by the time Carter arrived she’d found the dog’s throat. Like Whisky and his arch enemy, the seeing-eye shepherd of another university professor, Carter managed to pull Jeanie off her victim before her teeth ground through to its jugular. The Doberman was on its feet in a flash, hightailing it for home like death was on it heels. That dog never ventured onto Mounthaven property again. Dogs. And Guns. If there was one thing he cherished most it was the sportsman’s life. He grew up in the right time and place for it. This was a time when you and your neighbor, and his neighbors, could all own shotguns and no one would bother to question your motives, your intentions, or your background. You just loved to hunt, clear and simple. And that is the way that Carter found his motive to enter the adult’s world. Someday, Carter would own his own gun and master the life of a hunter, be a man’s man. But would he be a lady’s man? Maybe he didn’t grow up in the right time and place for that. It was, for one thing, a time of great conformity and inhibition. And the place, as far as how it influenced him, may have set him off on the wrong track too. Lots of maybes to be found here. A lady’s man, he would have liked that. But, instead, he can’t quite come to terms with being a sensitive lad, find a way to make that work for him. This gets me back to the idea of wearing blinders. What does Carter think he needs versus what he really needs in order to accept himself? There’s a passage that knocks it out of the park. It is a quiet moment but with the potential to leave repercussions for a lifetime. Carter is chatting with the president of a fraternity at the University of Virginia that he’d very much like to be accepted in. He can’t get off his mind a discovery he made that day, that dogs can hiccup. The president asks him which team he thinks will win the pennant. Carter says he doesn’t know much about baseball but he just learned that dogs can hiccup. He then proceeds to demonstrate by creating a series of high-pitched snorts. The president walks away. It’s a perfectly subversive moment. Carter sees it as a total failure and so does my father. And yet he wrote about it and must have appreciated the humor. This was the sweet and innocent Carter that was to be shunned. But, a generation later, he would have been hailed a hero. There is no more Mounthaven. And my father did as he set out, moved far away, and took a very different course. He is far from the glamour and glitz. He’s always maintained a modest income to this very day. By the time I was born, it was as if Mounthaven had never existed, only in memory. I did get to have some conversations with my grandfather while he was still around. I found him to be a good person. I think my dad’s book is an impressive achievement. To my taste, it reads a lot like an old warrior’s notes. I think he rushed to judgement in some places, was too hard on himself, and let a monster of thoughts have their way. In the end, he can breathe a sigh of relief. He accomplished something. He deserves to relax. He deserves to be able to contemplate a dog’s hiccup.